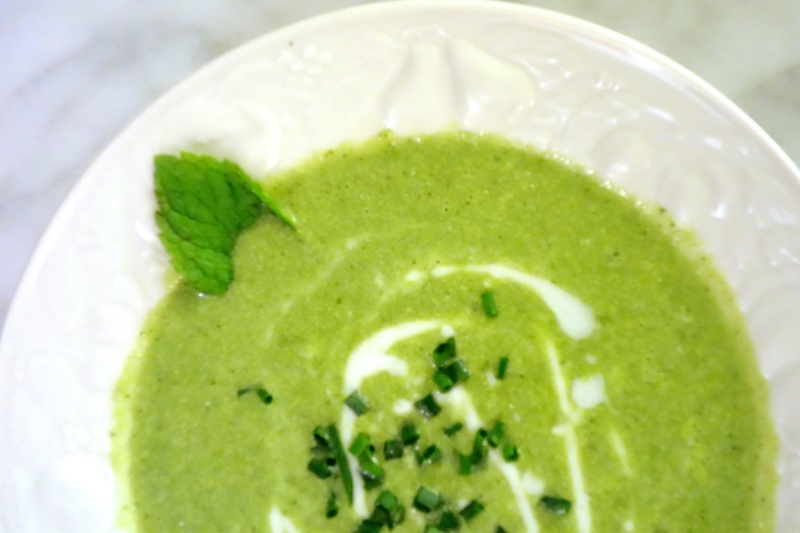 This is one good-looking and delicious chilled soup. We could not stop eating it. A most excellent light and guilt-free appetizer for your summer nights. Serve it in martini glasses for guests – and it’s great for guests because there is a nice make-ahead trick. Also, you can pretend you’re in Spain because it’s from a super-awesome Spanish cookbook. What’s not to like? Oops, I forgot to plan ahead: Keeping going? Once you add the peas and lettuce, reduce the heat to medium-low, and simmer until veggies are bright green and tender, 3-4 minutes. Place a bowl in the sink and drain the vegetables over the bowl to save the cooking liquid. Run the veggies under cold water to stop the cooking process, then let everything (veg and liquid) cool. Ready to serve: Place the cooked veg, cooking liquid, the remaining 4 T olive oil, all the herbs, and the goat or feta cheese in a large bowl and stir to combine. Working in two batches, puree in a blender until completely smooth and frothy, about 1 minute each batch. Don’t forget to add the salt & pepper to taste! Additional refinements: The soup will be fantastic and full-bodied at this point, but if you want to make it even smoother, put it through a food mill (see photo). I am convinced the food mill needs a new marketing campaign because the name does not really describe what it does. 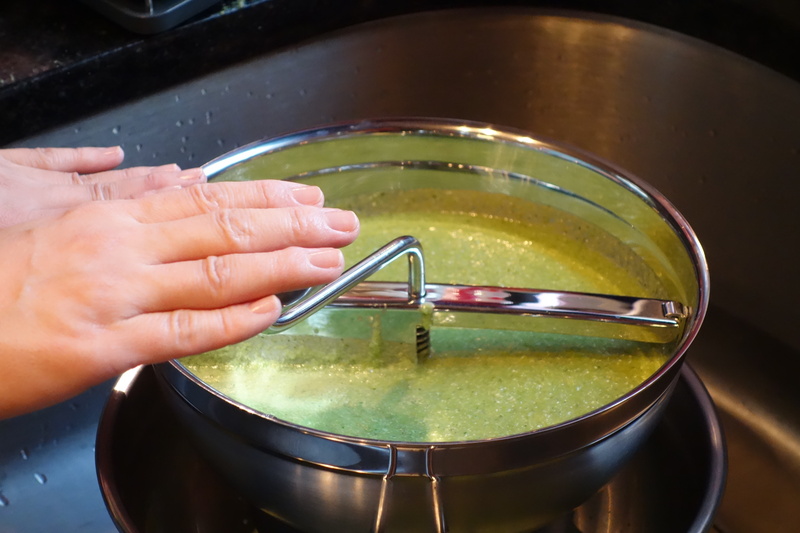 It pushes your soup or sauce through a sieve (and you can pick how fine or coarse the sieve). Because have you ever put things in a sieve and they just sat there?! Fixed. So, I put this through the food mill and ended up with (a) very smooth and refined soup and (b) sort of a pea/feta hummus type of thing, which we ate on crackers. Win!